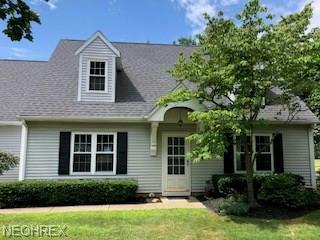 Former Model condominium in tranquil Connecticut Colony! The first floor features a wonderful eat-in kitchen, living room and family room with gorgeous hardwood flooring, and a full bath updated with heated ceramic tile! This floor plan makes entertaining family and friends very enjoyable. The second floor features the master bedroom plus two more generously sized bedrooms and closets galore! So much storage space!! There is also a fully renovated second full bath. You will love spending time on the new, large stamped concrete patio while enjoying the views of the pond, landscaping and nature. Updates include roof, windows, sliding door, patio, hot water tank and a/c unit all within the past 3 years. Freshly painted throughout and carpets professionally cleaned July 18. Schedule your showing today, definitely wont last long!